This flawlessly designed ring grabs attention without any effort and is a wonderful way to showcase your personal sense of style. 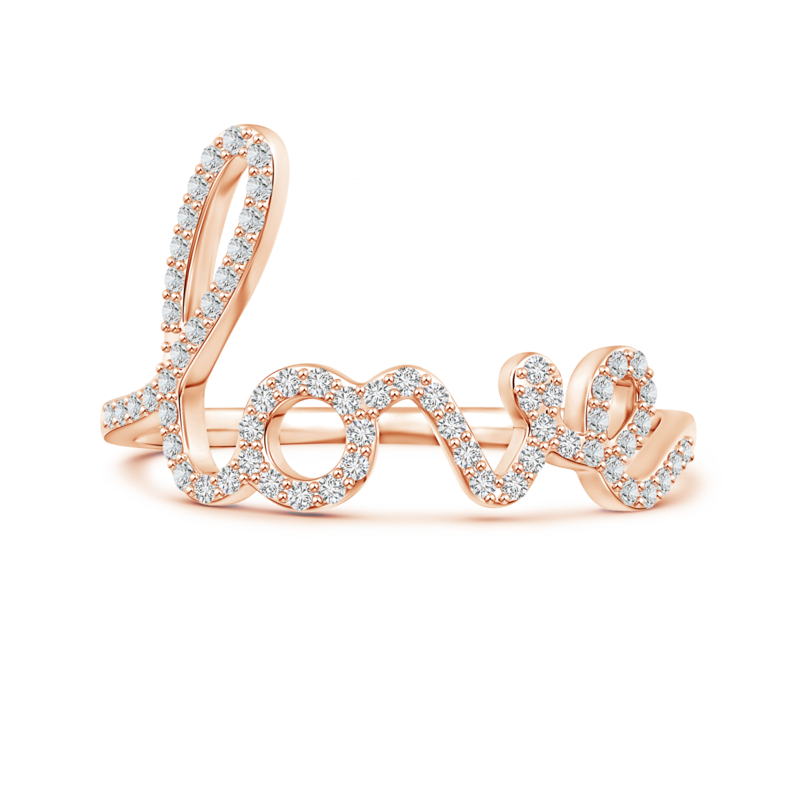 It features 'love' crafted in a cursive pattern and adorned with the splendor of lab grown diamonds. These eco-friendly gems are prong set within the frame and lend the pendant their purity and undeniable charisma. Crafted in 14k white gold, this diamond love ring is a statement of superior quality and refined luxury.